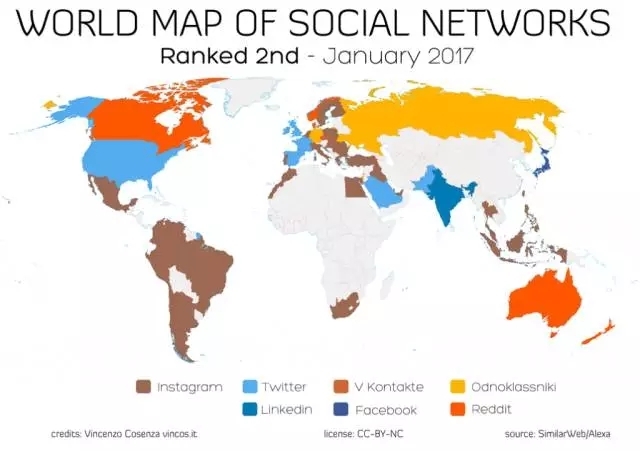 Facebook, with more than 1.8 billion monthly active users, remains the world’s most popular social network, by far. 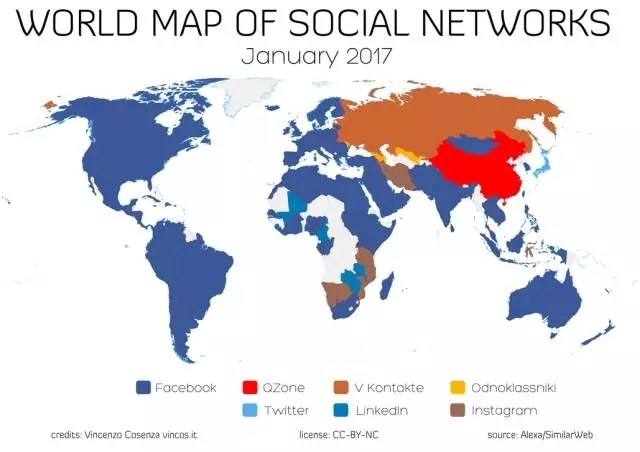 If the social media giant were a country, it would be much bigger than China. 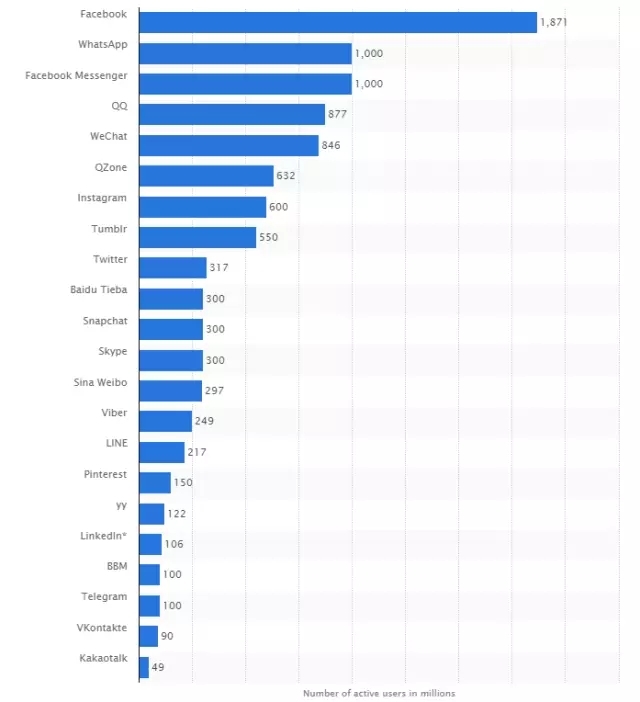 But although it’s in several major markets – including China – and a few medium-sized and smaller ones too, Facebook doesn’t dominate the social landscape.